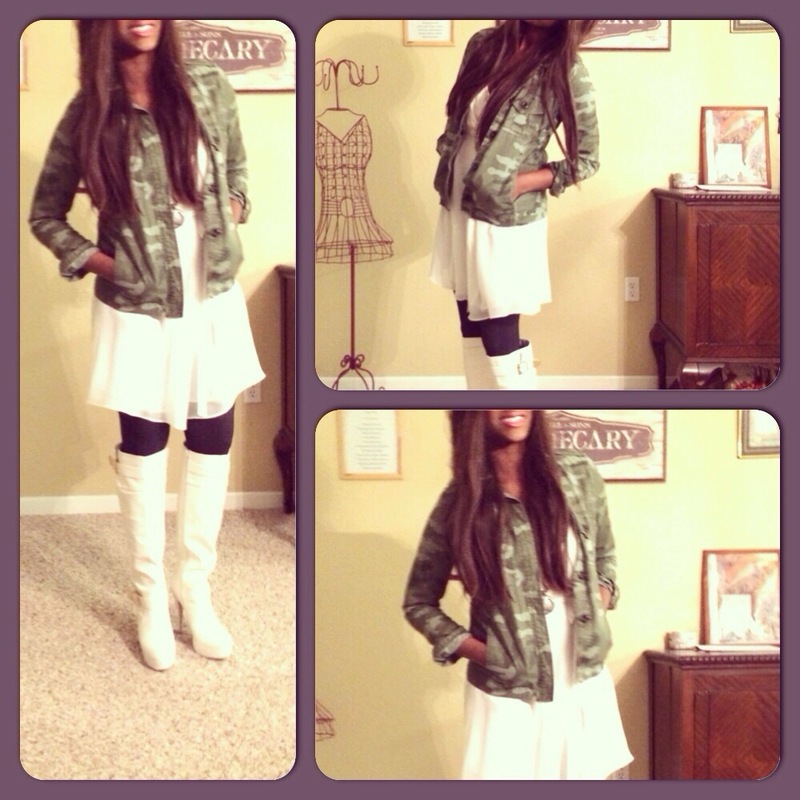 Evening Style: Winter White! How to achieve the look: Pair a white mid-length dress with knee high boots, add a jacket with weight to give it a “winter feel”, Accessorize with a pendant necklace! Enjoy the evening dolls!